The city reached a tentative agreement with the Federal Aviation Administration regarding flight paths from Orange County’s John Wayne Airport, Newport Beach officials reported this week. Mayor Marshall “Duffy” Duffield, Mayor Pro Tem Will O’Neill, and their City Council colleagues made the announcement in a statement released Wednesday. According to the message, the FAA agreed that flight paths will stay between the existing noise monitors and that a “precision-based” departure procedure that follows the curves of the Upper Newport Bay will be studied and designed for JWA. “As a City Council, this is a good outcome, but we’re not done,” O’Neill said in the prepared statement. They will “remain vigilant” in an effort to protect the settlement agreement, which details the curfew and noise limits, so that JWA is “operated with the least impact to our residents well into the future,” O’Neill noted. The agreement remains subject to the approval of the FAA and the U.S. Department of Justice. The city sued the FAA in October 2016 regarding the FAA’s environmental document associated with the nationwide Next Generation Air Transportation System program’s implementation in Southern California. NextGen is a modernization program being implemented at airports across the country. It incorporates less fanning and more narrowing of the flight paths. “The local result, however, is that departure flights are now further concentrated over certain Newport Beach neighborhoods,” city staff wrote in November. 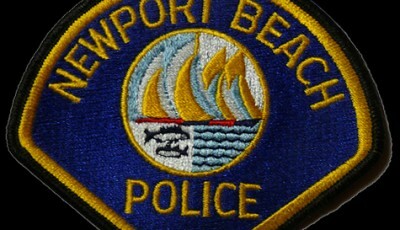 Newport Beach filed the lawsuit after it did not see “adequate protections” for the community’s quality of life, according to Wednesday’s announcement. The city argued that the FAA could use the document to “significantly change” flight paths that historically flew down the middle of the Upper Newport Bay. 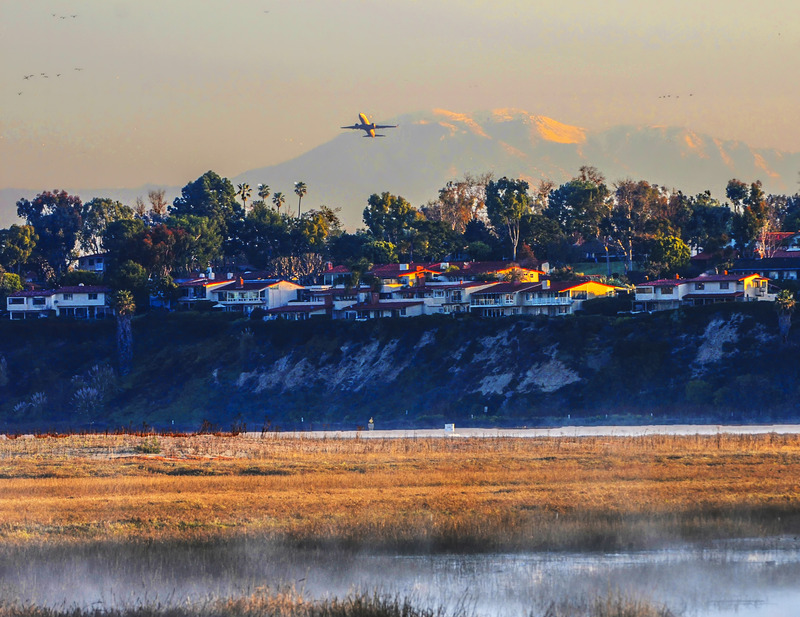 According to the city, under the environmental documents prepared for NextGen, departing JWA flight paths could have been widely routed across Newport Beach, from the tip of Newport Coast to the Santa Ana River. As a result of the litigation, the FAA agreed that the NextGen flight paths will stay between the existing noise monitors and will design and study one of the nation’s first precision-based curved departure procedures for JWA, the announcement explains. This procedure would, in theory, allow planes to follow the curves of the Upper Newport Bay, therefore avoiding as many residential areas as possible. It’s scheduled to be implemented in the upcoming weeks. City officials also announced that the FAA agreed to ensure all future changes to flight paths will be fully analyzed anew under the National Environmental Policy Act. Also, additional protections were secured against excessive “early offshore turns” that, if allowed, would bring certain departures closer to Corona del Mar and Newport Coast. According to City Attorney Aaron Harp, this settlement agreement represents an outcome “better than what could be expected had this matter gone through to trial,” as the trial would solely have focused on the adequacy of the environmental document. “The City Council understood that any litigation against the FAA would be an uphill battle and was by no means a guaranteed success; however, the City Council was and is committed to protecting the interests of Newport Beach residents and determined that this was a necessary challenge,” the message reads. It was a “bold step” for both City Council and Orange County Board of Supervisors member Michelle Steel, who represents Newport Beach, Duffield said in the prepared statement. “Protecting our community against the negative impacts of the airport is the most important thing we do here in Newport Beach,” Duffield noted. This is a successful legal conclusion, he added. In September, Council directed staff to conduct additional noise monitoring to determine if the seven existing noise monitoring stations on the departure corridors are reporting noise accurately. Also during the September meeting, Council asked staff to: Encourage commercial air carriers to depart along the FAA’s geographic routes in a manner that uses the quietest departure procedure possible while still ensuring safety; encourage commercial air carriers to rapidly incorporate quieter and less polluting planes into their fleets; and bring on advocacy in Washington DC to similarly work with carriers and carrier groups to inform them of the Newport Beach community’s interests. For more information, contact City Manager Dave Kiff at (949) 644-3001 or [email protected], City Attorney Aaron Harp at (949) 644-3131 or [email protected], or visit newportbeachca.gov/trending/projects-issues/john-wayne-airport.